Home to inspired retirement living. 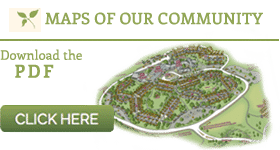 Set in the midst of a naturally beautiful 82-acre campus, Pennswood Village is a diverse, non-profit, continuing care retirement community in Bucks County, Pennsylvania. Guided by Quaker values, residents enrich mind, body and spirit in an exceptional place of true hospitality. Here, residents share a fellowship of inspiration, a thirst for knowledge and a love of activity. If this sounds like a warm and welcoming place to call home, please contact us today. We look forward to hearing from you. How did you hear about Pennswood?